Breed Specific Legislation ( BSL ) are laws that discriminate against a certain breed or breeds of dogs and other animals. Breed Specific Legislation ( BSL ) typically takes on two forms; either it creates a total ban on ownership, or it places unreasonable responsibilities on the pet owner such as constant confinement and excessive, and often unobtainable insurance coverage on their pet. If you're a cat owner or other type of pet owner, do not think you are unaffected by Breed Specific Legislation ( BSL ). Breed Specific Legislation ( BSL ) has been used to discriminate against not just dogs but cats, snakes, and even turtles and frogs in some states. All responsible pet owners are at risk of losing their pet when Breed Specific Legislation ( BSL ) is enacted in their area. 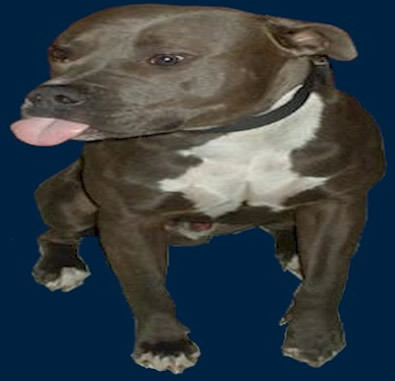 The American Pit Bull Terrier ( APBT ) is typically just the foot in the door to get a law passed. Once passed the process of modifying the law becomes excessively easy to modify to include any other animal. Because of this, ALL responsible pet owners should unite and show their local Representatives that they are not in favor of such legislation and will not support such acts or the politicians that favor such. Know your vote. Vote against those who support such measures. Breed Specific Legislation ( BSL ) is often a knee-jerk reaction by legislatures to an incident that has happened where someone has been hurt by an animal. The media is often times irresponsible in reporting such cases and politicians are quick to jump on the band wagon in order to gain the support of a political constituency. The fact of the matter is that Breed Specific Legislation ( BSL ) does nothing to remedy the problem nor address the issue of animal attacks or related injury at its root cause - which is in most cases irresponsible parenting and pet ownership. Laws are already on the books to address these issues, but in most cases go un-enforced thus allowing injurious incidences to happen. We must hold our municipalities responsible for their lack of enforcement of responsible ownership laws, which already exist. There is no need to develop Breed Specific Legislation ( BSL ) when responsible parenting and humane care laws are already on the books going un enforced. Every time a bill is proposed to enact Breed Specific Legislation ( BSL ), a legal suit against the community government should be filed for negligence foe lack of enforcement of the responsible ownership laws that already exist. Dereliction of duty and responsible response to community safety should be considered intolerable. Communities, politicians, irresponsible parents and irresponsible animal owners have to be forced to realize there is no incentive to their negative actions. Communities have to realize the excessive financial burden of not only the enactment of new laws but also the cost of not enforcing current laws that promote responsible ownership and parenting. Politicians must understand the repercussions of a united pet community, lost votes and financial repercussions of not doing their jobs in a responsible manner. Irresponsible owners have to feel the cost of negligent, irresponsible and abusive ownership through STIFF monetary penalties and loss of pet ownership rights. And when this does not work, felony convictions, jail time and a criminal record. The American Pit Bull Terrier ( APBT ) is the most discriminated against breed of dog and is often used as the foot in the doorway to enact or extend legislation to cover other breeds. Breed Specific Legislation ( BSL ) does not take into account factors of responsible ownership and punishes all responsible owners of a listed dog or other animal breed. Breed Specific Legislation ( BSL ) has been proven unconstitutional in many courts and has even been addressed by the US Federal Department of Justice as unallowable as it robs people with disabilities their right to choosing a pet that meets their specific service and therapy needs. If you are a banned Pit Bull owner or other banned breed owner, we highly encourage you to visit our section on Pit Bull uses in Therapy, Service, and other work. In this section we have provided the US Department of Justice guidelines regarding service and therapy dogs for people with disabilities. If you are a victim of Breed Specific Legislation ( BSL ) and want to know if such laws are active in your area, or if you simply want to learn more about the issue and how to assist in defeating it, please feel free to join our PitBullSocial network where we have active discussion on the topic. Also consider supporting our efforts by becoming a fully active APBR Member or by simply donating to our Stop BSL Fund. Click button to make online debit/credit card. online check or PayPal donation.